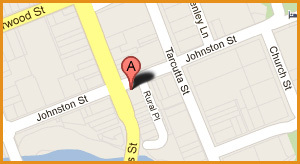 Tacita has been a partner of the firm since 2001 and has been an accredited specialist in Family Law since 2005. Tacita practices exclusively in Family Law. Grant was admitted as a solicitor in 1995 and has been a partner of the firm since 2000. His primary areas of practice are personal injury and other litigation, wills and estates and conveyancing. Gregory has been admitted as a solicitor since 2005. His primary areas of practice are conveyancing, criminal law, wills and estates, and commercial and business law. Diana was admitted as a Solicitor in October 2012 and holds a Bachelor of Business degree and a Bachelor of Laws degree from the University of New England. Diana practices in general litigation with an emphasis on family law.